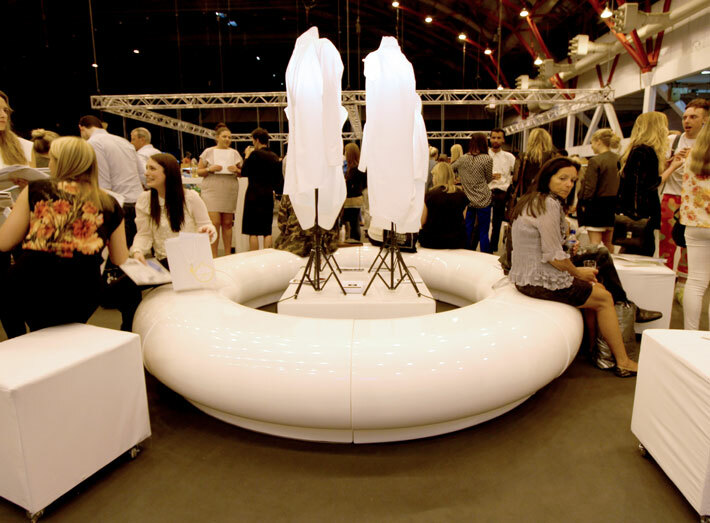 GeoMets' ultra-contemporary circular Halo seating has been chosen to create a modernistic look to Graduate Fashion Week, Earls Court, London (2-5 June 2013). 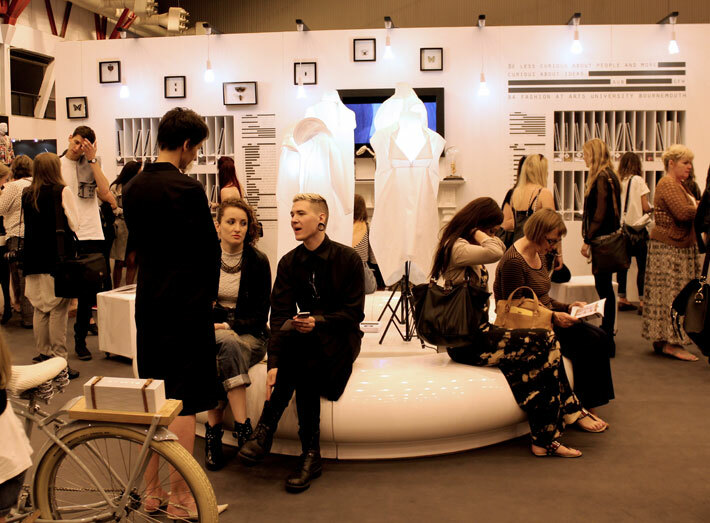 The show, which launched the careers of Stella McCartney, Matthew Williamson and Alexander McQueen, will once again be showcasing the UK's top design talent. Project managing Arts University College Bournemouth exhibition is Sophie Lillie, she explains why Sui Generis' seating is ideal to create the right impression. "We were searching for fibreglass or perspex furniture and were amazed by Sui Generis' stunning designs. Their Halo seating is unique and will create the perfect environment for our graduates to show-off their designs to potential employers, designers and celebrities." Halo is a beautifully striking yet comfortable seat which can be adapted to fit most spaces. Simple curves add beauty and fluidity to interior meeting areas, showrooms, exhibition spaces, foyers and lobbies. Halo can be fitted together to form a circle measuring 3m in diameter or can be designed to snake around outdoor or indoor features. 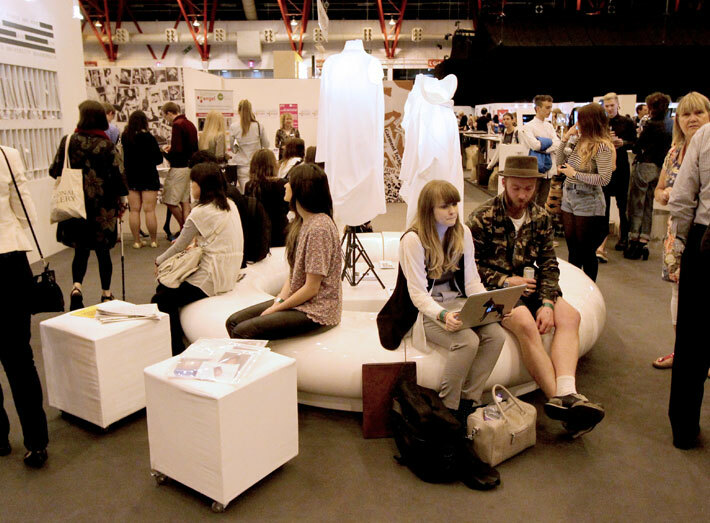 Arts University Bournemouth has a very strong track record of creating the best stand at the show, coming in the top two places in the last two years. This year they are hoping to create the best stand in show. 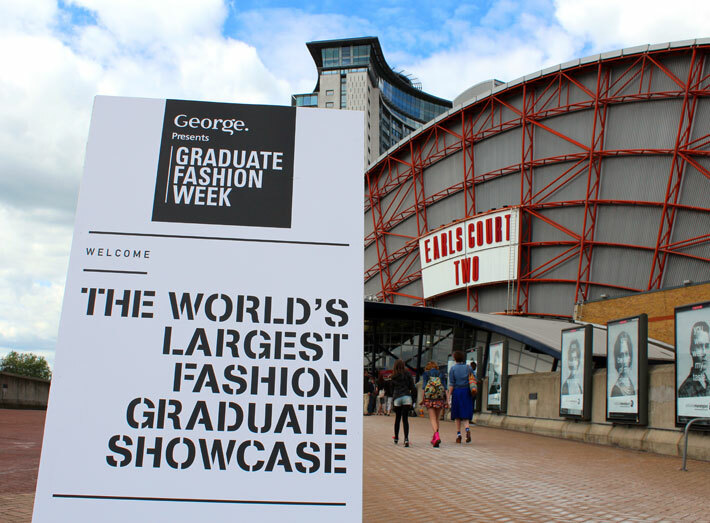 Graduate Fashion Week, Earles Court, London. Halo seating centerpiece at the Arts University Bournemouth stand. 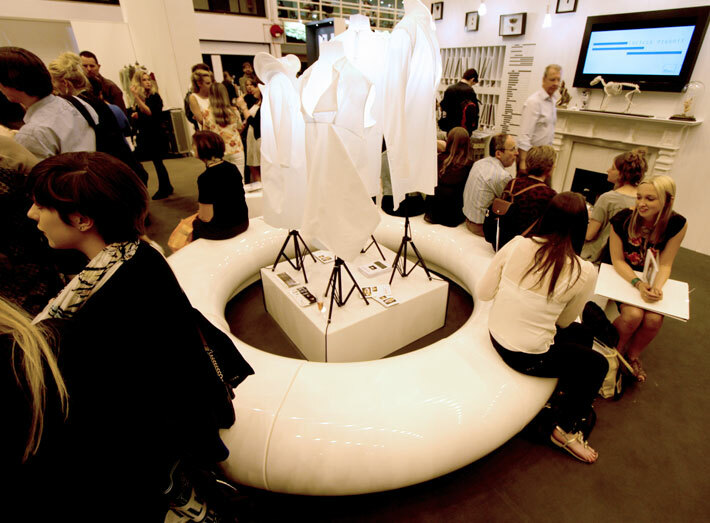 Halo seating is ideal for exhibitions, shows and display meeting areas. Halo is a beautifully striking yet comfortable seat. GeoMet Halo seating creates the right impression. Simple curves add beauty and fluidity to interior meeting areas. 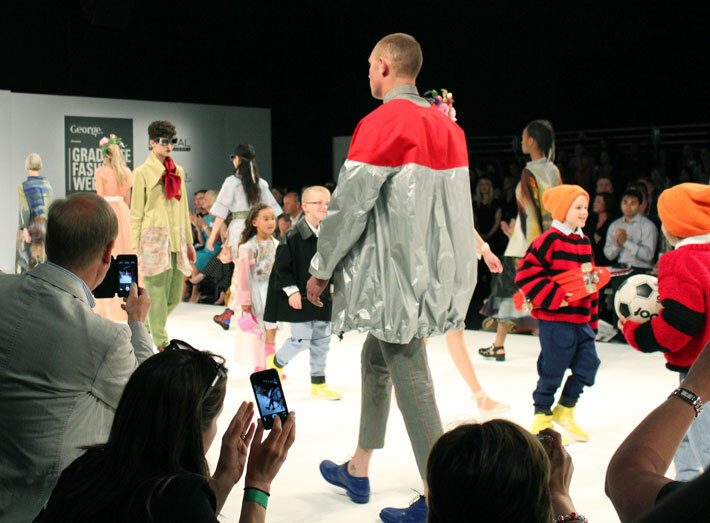 Arts University Bournemouth final show at Graduate Fashion Week. The modular furniture can be adapted to fit most spaces. Seating suitable for reception, hospitality, exhibitions & breakout areas. "We were searching for fibreglass or perspex furniture and were amazed by Sui Generis' stunning designs. Their Halo seating is unique and will create the perfect environment for our graduates to show-off their designs to potential employers, designers and celebrities."